I’m trying to remember the first time I stepped foot in a Burn Boot Camp. It had to be over 2 years ago! I’m fortunate to live in the epicenter of where Burn Boot Camp started, just north of Charlotte, NC. Now, they have over 70 locations all over the US and are still rapidly expanding and helping women understand that investing in our health is one of the best things we can do for ourselves and our families. So what is Burn Boot Camp? Julie wrote a great post that covers it well, but I’ll share the basics of what it is and why I am so in love with it. Burn Boot Camp (BBC) focuses on 5 pillars: mindset, whole food nutrition, burst training, strength training, and community. 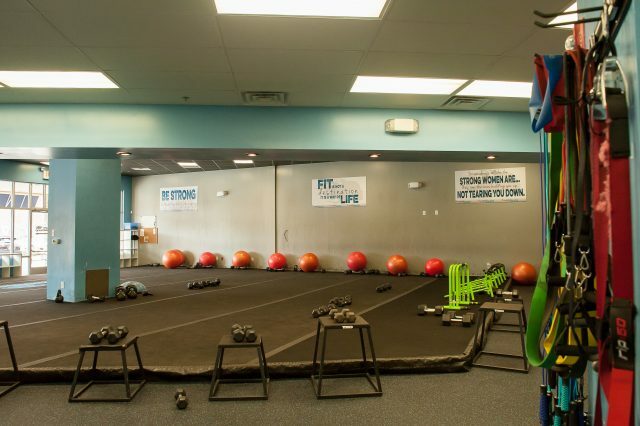 It’s a women-only facility that offers 45 minute group athletic training classes WITH CHILD CARE. It’s certainly not for moms only, but as a mom, the free childcare is instrumental in me being able to make it to work out on the regular. The classes themselves are always new, always challenging, and always working different muscle groups. In over two years, I’ve never done the same workout twice. I thought I had pushed myself with exercise in the past but I’ve never experienced anything like a BBC class. Honestly, it’s the only thing I’ve ever stuck with for this length of time. Through my years of attending regularly (I average 3 days a week and applaud the ladies that consistently rock 5 days), I’ve seen my body completely transform. The Burn Trainers really deserve so much of the praise. They are incredibly knowledgeable and motivating. I definitely groan when Daniel drops 20 lb weights in front of me when I’m rocking 15’s, but Burn Trainers are supposed to be tough to push you to be your best. At the same time, they offer modifications for every fitness level and/or injury and are a big part of the encouraging atmosphere that BBC is so well known for. Each Sunday, BBC posts the week’s protocol on their facebook and instagram pages so I can see what’s on deck for the week. I admit I sometimes use this to pick which days will work best with my schedule (full body met con and lower body are my favs!). 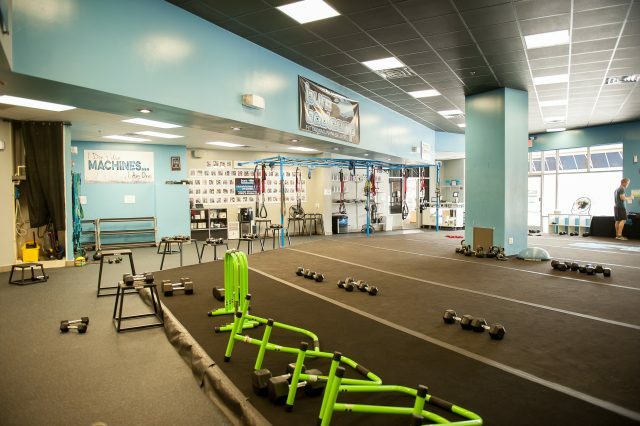 All locations follow the same protocol as each other, though workouts may vary slightly. It’s pretty cool that I can chat with my best friend in Greeenville SC and we can both lament about the same sore muscles! I asked Daniel (our head trainer and the reason for the #deathbyDaniel social media hashtag- meant mostly in a nice way- I kid… I kid…) if he’d put together an at-home BBC inspired workout for me to share with you guys and he delivered! 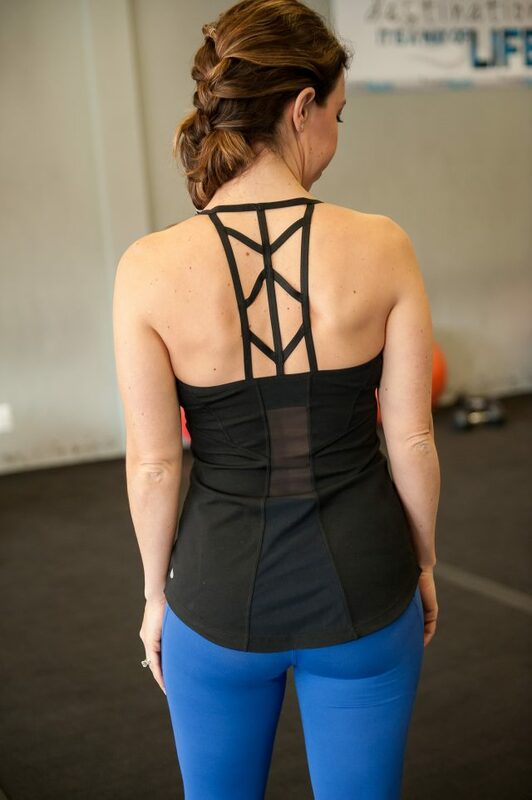 If you can look past my awkward attempt at being a fitness model, you’ll see this an awesome at-home workout that you can rock anywhere, anytime without any equipment. Starting at 12 reps and dropping 2 reps each round or 5 minutes worth of the exercises. What separates Burn Boot Camp from so many other programs is the strong community of women that support each other and lift each other up. It’s a very encouraging atmosphere full of high fives and good jams (quite often I find myself dancing along). I’ve cheered watching women who have never worked out before lose inches, gain confidence, and finally enjoy exercise. 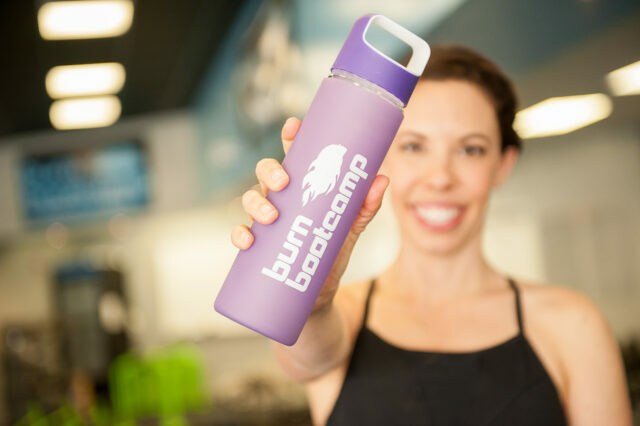 If you are curious about Burn Boot Camp, see if there is a location near you. They all offer a 14 day free test drive and also hold free Saturday morning community classes at all locations. Just bring a bottle of water and wear comfortable (and supportive) athletic gear, and a more secured braid or ponytail than what I’m sporting here. Burn Boot Camp is the first fitness facility I’ve been a part of and regularly attended for this long. It pushes me and as a result I am more confident in my fitness level and stronger than I’ve ever been. If you have any questions about BBC, please ask away! Is there a fitness style or place that has completely stolen your heart? I was not asked or paid to write this post. I have received so many questions about BBC that I wanted to share my love for it with you. I’ve actually been such an advocate that I am now a BBC ambassador for my location and my membership fees are comped. Photographs by Amanda Overmyer Photography. You could totally be a fitness model! What a great concept and group you have! One arm plank–impressive!! My mom thinks I’m pretty special 😉 Remember when you did Burn with me?! You ROCKED IT!! I’ll definitely give this a try. I had my second baby at the end of December and am getting back into my regular workout groove. My past of 5:30 am workouts 6 days/wk is not feasible at the moment, so I’m being flexible and that includes at least one or two at home workouts a week now. I used to hate working out at home and felt it was less effective, but it’s fun to see what I can do in a short window of napping kids! 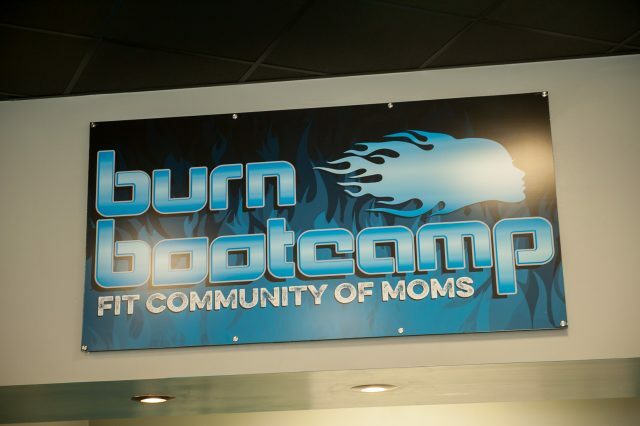 There is a Burn Bootcamp opening near me soon…no specific date but I signed up so I will get updates. Looking forward to trying it out. How much is a membership? Membership fees vary by location and contract duration but generally range from $99 – $199 a month. However, each location offers different deals, including possible groupons, so it’s best to reach out to them directly. Plus if you are a member, you can workout at any other location when traveling/on vacay! 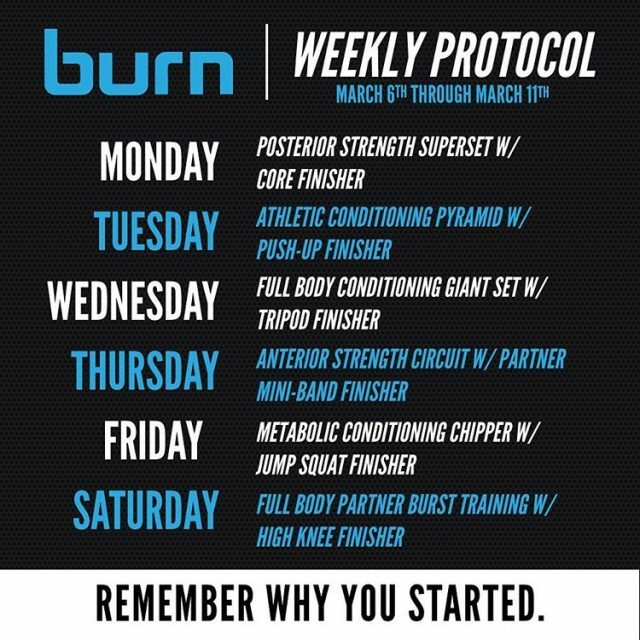 A Burn Bootcamp is opening near me as well and I’m interested in trying it out. How much is membership? I’m definitely a lover of all things HIIT and weight focused- I’ve fallen in love with that style!! This sounds like a fun and solid workout! Also, the back of your top is incredible! Thanks! It’s one of my favorite tops because it makes me feel trendy- ha! They opened one right near me in Raleigh! I’m thinking about trying it. How much does it cost per month at your location (I’d imagine Raleigh and Charlotte prices would be similar)? Thanks for sharing the At Home Workout! I’m definitely going to give it a try! There is a location right up the street from me in Lake Wylie! Definitely bookmarking for after delivery once I’m back up to regular workouts. Personally, I love spinning. I have a spinning bike in my home which along with some light weights and a yoga mat has been my primary workout source since I was pregnant with my first in 2014. I’d love to get out into a more community atmosphere and do some different things though! I’ll have to try your home workout first lol! Thanks for the post! ummm this place looks awesome. i love bootcamp bc they’re usually a great mix of cardio and strength. and i love their pillars! glad to see nutrition as one since it’s essential for overall wellness. you’re looking great! I wish there were a location near me! I’m generally intimidated by fitness classes, but have heard this one is really supportive. Thanks for the at home version! I have heard such great things about BBC and wish there was a location near me. But now I can give the at home workout a-go. Thanks for sharing! you look fantastic. this post is very motivating, thank you for the at-home option. 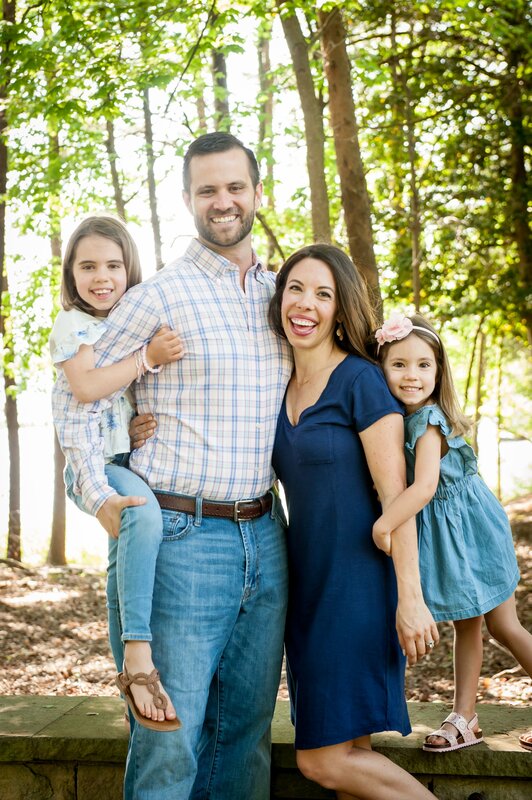 With a toddler and newborn, I look forward to being cleared to exercise again! They just opened one by me last year and based on your recommendation and from some other preschool moms I decided to give it a try. I’m so glad I did. I love it!! Thanks for the rec! It’s addicting isn’t it?! So glad you love it as much as I do! There is one opening near me soon! Looking forward to try it? How much is a membership? Oh that’s exciting!! Membership fees vary by location and contract duration but generally range from $99 – $199 a month. However, each location offers different deals, including possible groupons, so it’s best to reach out to them directly! I wasn’t sure what this place was, but I live right by one in Huntersville! I’ll have to try one of the community classes or (gasp) commit to going enough to warrant the 14th days! They opened one up near me and was super excited about it! I liked the workouts but the price tag is astronomical! Why is fitness SO expensive? It’s sad really! This makes me so excited! Apparently there are five opening in Northern Illinois and I can’t wait! Ugh, I wish they had one in Baltimore! Looks like an amazing place! I have always been intimidated to try a boot camp style workout. I am a cardio fiend and know that I am neglecting strength training. I wish there was a BBC location near me! (I live in New York). I may look into taking a boot camp class at my local Y. Any suggestions for someone getting started? Thank you! For me, finding any class that incorporated strength was a good place to start. Now that I’ve been doing it for so long, I know the form so much better and love the difference I’ve seen in my body. Hope you find a class that works well for you! I completed this workout yesterday and loved it! I totally understand why you love this place so much! I wish they’d migrate down to Gainesville (hint hint). Thanks for sharing! I’ll pass the hint along 😉 So glad you loved the workout!! Small world indeed! 🙂 Yes, BBC has free Saturday workouts (co-ed too!). I like switching things up too- hope you love it as much as I do!